The Hardee County Cattlemen’s Association Ranch Rodeo is not your typical bull riding, entertainment rodeo. It’s a fun way to present Florida ranching, and the unique Cracker Cowman way of life to the rest of the world. 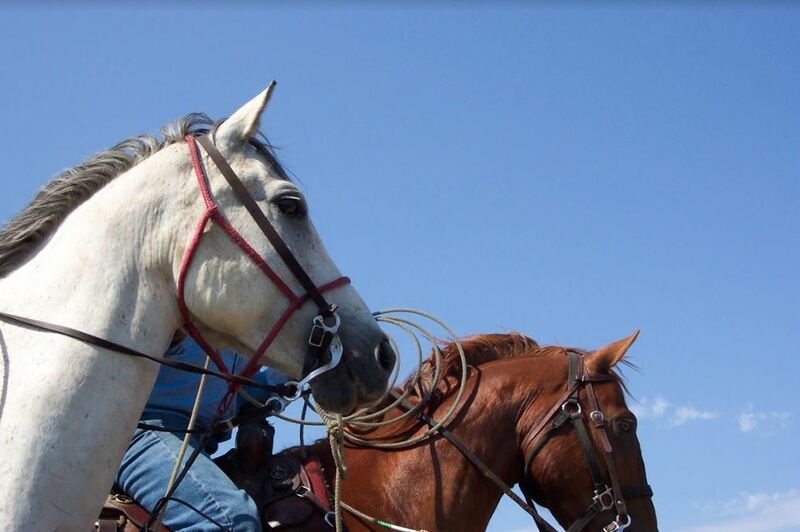 It is also a great opportunity for working cowboys and cowgirls to showcase horses used in daily ranch work. Mr. Putnam from Will Putnam Memorial Cattle Co. says, “The tradition of ranch rodeo is great not only for our state but for American cattlemen as a whole, it’s a fun way for us to showcase what goes on in a working cow-calf operation to the general public, in a way that is entertaining as well as educational.” Jeremy Walker with Warner University says that it’s important because it’s right in the heart of cow country, and showcases different events that people may not know happens in day-to-day events on a ranch. Will Putnam Memorial Cattle Co. The rodeo features numerous elements of the ranching heritage, such as calf branding, team sorting, double mugging, and trailer loading. While the competition is fun and exciting to watch, the sport of the Ranch Rodeo is living proof of our American history. Some of these traditions have been around for hundreds of years, and define the Florida Cracker / Seminole Cowmen. Calf Branding seems to be a favorite event in this rodeo. Branding has provided a way for ranchers to stake their claim on cattle and other livestock while deterring theft from rustlers. The earliest records of livestock branding date back to the ancient Egyptians, but the practice came to America by way of European travelers. After they became more widely used by ranches, custom branding irons were made to differentiate one ranch’s herd from another. Variations of brands ensured that a ranch’s insignia stood out. “My favorite event would probably be branding,” Putnam explains, “because it keeps the old style of cattle work alive— the need to be skilled with a rope in the herd, and drag calves to a fire before we had squeeze chutes.” Jeremy Walker adds that branding would be his favorite as well because of the way it’s different from other rodeos. All of these chores remain today, but are more efficient with the help of some modern equipment and methods. However, the tradition and importance are still the same. Cowboys still work hard, raise cattle, and get them to market for us, the American consumers. If you would like to attend and get a feel for the ranch rodeo way yourself, the ranch rodeo will be held at the Hardee County Ag Center in Wauchula on Friday, July 21 and Saturday, July 22, both starting at 7:00 p.m.